Riding on some types of roller-coaster is an effective way of removing kidney stones. This is the conclusion of research that has won this year’s Ig Nobel Prize for Medicine. The US researchers who carried out the work recommend that those afflicted with the condition should regularly use the theme park attractions. The Ig Nobels are spoof prizes that recognise achievements that make people laugh but also then think for a moment. Many of the topics recognised in the awards actually have a serious point to them. The inspiration behind the roller-coaster research began several years ago when one of Prof David Wartinger’s patients at Michigan State University’s College of Osteopathic Medicine returned from a holiday trip to Walt Disney World in Florida. The patient reported that one of his kidney stones became dislodged after a ride on the Big Thunder Mountain ride. 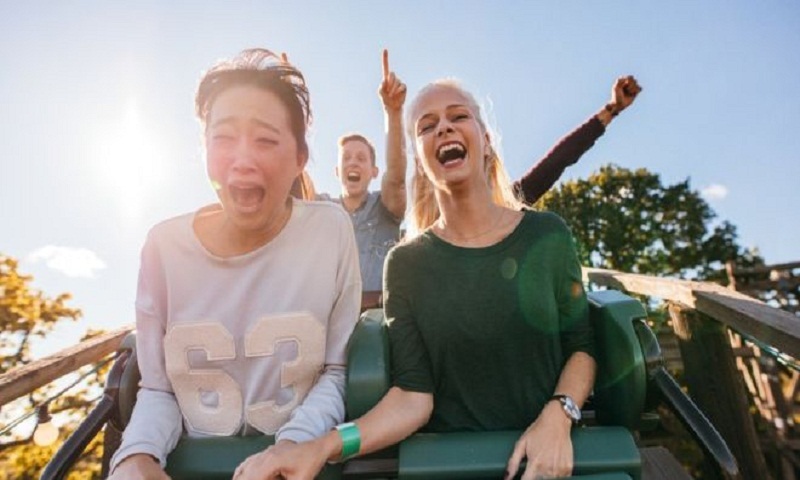 Wondering whether it was caused by the ride or a coincidence, the patient went on the ride several more times and each time a stone popped out. Intrigued by the story, Prof Wartinger built a silicone model of his patient’s renal system, including artificial kidney stones, and took it with him on numerous rides. He discovered that Big Thunder Mountain was indeed effective – more so than the scarier rides such as Space Mountain or Rock and Rollercoaster which involve prolonged drops. Prof Wartinger concluded that this was because Big Thunder Mountain involves more up and down and side to side movements that “rattle” the rider. The Medicine Prize is one of 10 Ig Nobels awarded each year for amusing and mind-bending science. They are all genuine studies and nearly all have been published in peer-reviewed journals. At the awards ceremony, held at Harvard University in Cambridge, US, each winner has 60 seconds to deliver an acceptance speech. The time limit is strictly enforced by an eight-year-girl who says “please stop I’m bored” several times until the speaker finishes. Medical Education: Scientists are sometimes rudely described as being “up their own backsides” if they are thought to be too obsessed with their research. However, this is literally the case with a Japanese researcher, Dr Akira Horiuchi, who won the Medical Education Prize for devising a self “self-colonoscopy” technique using a small endoscope. “Fortunately, I have found neither polyps nor cancer,” he told BBC News. “This trial may be funny, but I inserted an endoscope into my colon for a serious purpose. “People, especially in Japan, are afraid of colonoscopy and they do not want to undergo colonoscopy. So the number of people who die from colorectal cancer is increasing. I do this research to make colonoscopy easier and more comfortable, so fewer people will die”. Literature: This year’s Literature Prize was for an investigation into instruction manuals that come with consumer products. The Investigation was called, Life Is Too Short to RTFM: How Users Relate to Documentation and Excess Features. “RTFM” is an acronym for “read the field manual”, though, according to the researchers, it has gained a new meaning by consumers who are often frustrated by the complexity of operation of their product. Nutrition: A British researcher won the Nutrition Prize for calculating that pound per pound, it is not worth eating human flesh compared with other types of meat. This was to analyse the eating practices of early humans, rather than to inform present-day dietary choices. Economics: For economics, the winner was research investigating whether it is effective for employees to use voodoo dolls to retaliate against bullying bosses. This study showed that taking it out on dolls does alleviate negative feelings, but suggested in the long run that it was better to deal with the underlying issue. Chemistry: The winner of the Ig Nobel Chemistry Prize went to research that settled the issue of whether human saliva is a good cleaning agent for dirty surfaces. It is – especially for fragile, painted areas on ceramics, and on gold leaf. Biology: A Swedish team won the biology Ig Nobel for demonstrating that wine experts can reliably identify, by smell, the presence of a fly in a glass of wine – possibly sparking a new genre of jokes involving sommeliers. Peace: Last but not least, the Ig Nobel Peace Prize went to a Spanish group that aimed to find ways of reducing road rage, in a paper titled, Shouting and Cursing While Driving: Frequency, Reasons, Perceived Risk and Punishment. The team’s solution is to reduce stress and increase road-safety campaigns – a task as sizable as reducing conflict in the Middle East.